Wynn is easily one of the nicest hotels on the Las Vegas Strip. In fact, Tripadvisor lists it as the number 5 hotel with over 20,000 reviews and 4.5 stars from travelers. 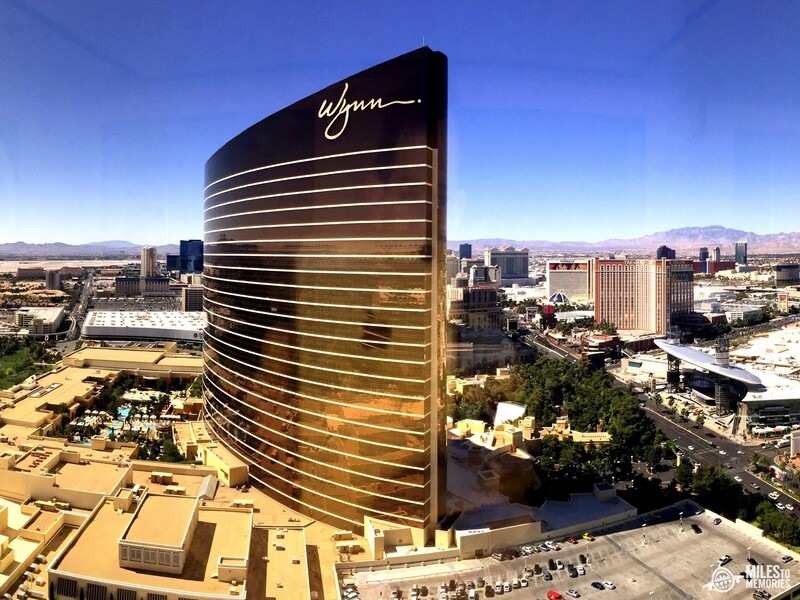 There are a few promotions available to Amex Platinum Cardholders (Click here to find out if you’re targeted for 100K Bonus Offer) that can be combined for crazy cheap stays and awesome benefits at Wynn or Encore in Las Vegas. If you’re able to fully maximize all the benefits and discounts your net effective rate for Wynn is around $25-$40 INCLUDING taxes and resort fees. Right now is an excellent time to sign up for the Platinum Card because there is an awesome welcome offer available, Huge Targeted Amex Platinum 100K Offer Returns: How to Check If You’re Eligible! There’s an Amex Offer available on many cards for a $60 statement credit after spending $300 on eligible Wynn/Encore purchases. Another awesome thing about this offer is that it includes spa and restaurant spend at Wynn or Encore. Often the terms limit the offer to room rate. Offer valid only for room rate, room charges, select food and beverage establishments, and spas at Wynn Las Vegas and Encore. Reservations must be made directly through Wynn Las Vegas at wynnlasvegas.com or via the mobile app. The discount is calculated as an average of the 4 nights. I’ll be in Vegas in June and look at this amazing deal. 4 nights at the Wynn after taxes and fees (which are approx $40/day) for net effective rate as low as $100. Related: Two Las Vegas Strip Casinos (Including Wynn) Backtrack on Paid Parking! Everybody considering this offer should figure out the value to themselves for the FHR benefits with a monetary value. For example, if you don’t eat much while you’re in Vegas or don’t think you’ll visit the Spa, you should reduce the following values accordingly. For me personally, I am generally able to make full use, so I have them valued at full price. As you can see, the net effective price for 4 nights at Wynn is $40 a night! For me, it would actually be $25/night since I have the offer on several cards. Even if you don’t pay for hotels in Vegas, this is probably a better offer since the resort fee at most hotels is more than the effective rate. Throw in the free parking at Wynn and I don’t see how you could do any better. I don’t get the breakfast credit. Do they give you $40 per day (or in your case $80 for 2 people) and you can choose to buy breakfast or not (i.e., you will get $320 credited back no matter what) or are you simply valuing the benefit at $40/80, but you do have to pay for breakfast to get the credit? Same for spa credit? Your statement about reducing the value of the benefit makes me think you’re really paying $580 (or less if you split cards) for 4 nights, but getting free breakfast and spa service. You are basically paying $580 for the stay, after you subtract the $60 AMEX offer which gets refunded to the card. It’s really how you value the spa and breakfast credit. If you are someone that pays that kind of $$ for breakfast everyday, then it’s a good value. However, most bloggers use their status to get lounge access and free breakfast, so I don’t think it’s really a great benefit, or it’s not really worth the $80 day that it’s made out to be, since the prices are already inflated due to the fact that it’s the Wynn. The spa credit will not cover a normal massage, as a basic 50 minute massage will run you $180. By the time taxes and tip are added, you are over $100 out of pocket. Now you can probably use the credit for day passes to reduce your out of pocket costs. I believe the better values are the hotels which offer $100 food and beverage credit, as opposed to the $100 spa credit. The mythology that Amex FHR is some sort of amazing thing continues to pervade the blogosphere. We just booked the Delano at Mandalay Bay for a night in August, for @$125. Using the Amex Platinum Card gives us $100 for Food/Beverage (AKA dinner), free breakfast, an upgrade (if available) & they have free self parking…net nothing! guess i will see u there. will look for you. I think you really should value the breakfast at $200 a day. This way, you actually make money!! Where was this article a couple weeks ago when I needed a Vegas stay? The plan is to wife reserve through Chase Luxury Hotel & Resort Collection for one night and I, using AMEX FHR, for the next night and apply the AMEX offer. Double savings (hopefully). I’m going for labor day weekend and booked through amex. Does the mini bar count as breakfast?